When you're searching for inspiring ideas for kids birthday party themes. I bet the first thing you normally do when planning a party is ask around. You want to know what's hot and what's not! What are other parents doing, what worked and what didn't. 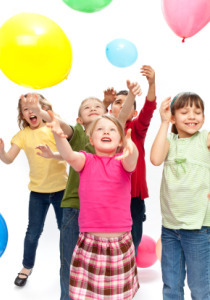 For this reason I ran a kids theme birthday party ideas online contest in August, looking for the best and most original ideas. The competition was won by Halde Pottinger with her original 'A Party'. Our August Contest was kindly judged by Sue Pierce of www.poshpartybox.com who describes Haldes entry as "a great and very unique idea". Halde's winning entry was picked for its originality. Our boy is named Archie...he is such good craic! And, for his 2nd birthday we had an "A" party! What is an "A" party I hear you shout! Well, because Archie starts with "A" we had an "A" party. Obviously if your child is called Charlie, you have a "C" part, Sarah you have an "S" party and so on. The idea is ...read more. Of course all the entries to the competition provide unique and orignal ideas for your own party. Among my other favorites were the 'Pony Party' and 'Down on the Farm'. Was there anything you would do diffently next time? What did the kids have to say about it? A picture tells a thousand words! Do you have some pictures or graphics to add? Great! Click the button and find the first one on your computer. Select it and click on the button to choose it. Don't miss my next competition. Sign up to my newsletter Full of birthday tips, ideas, offers and competitions. 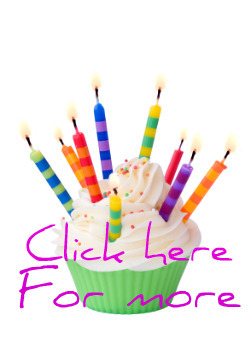 As a thank you for signing up I'll send you 101 birthday ideas absolutely free!